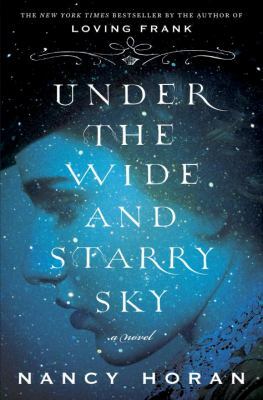 Not just another historical novel featuring artists and authors in Europe, Horan’s second book after Loving Frank adds Samoa and the United States to the European settings, and plenty of drama to her novel about Robert Louis Stevenson and his wife. American Fanny Osbourne leaves her unfaithful husband and travels to Europe with her three children so that Fanny and her daughter Belle can study art. After a family tragedy, the Osbournes are staying at a rural inn when they meet Scottish “Louis” on a hiking vacation. He is much younger, and has just earned his law degree. He suffers from tuberculosis, and is rarely well, but dreams of writing full time and living with Fanny. Fanny reluctantly returns to California with her husband, pursued by Louis. After much struggle, Louis and Fanny marry, and begin a life of travel, seeking a healthy place where Louis can thrive and write, including a very colorful period in Samoa in the South Seas. Fanny sacrifices much for her husband’s art, which can make for difficult reading. This novel paints a vivid portrait of the Stevensons, if overly dramatic at times.